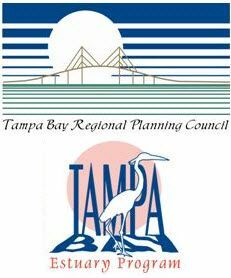 Join the Agency on Bay Management and the Tampa Bay Estuary Program in honoring two "Champions of the Bay" immediately following the June 11 ABM meeting. Longtime environmental leaders Jan Platt and Rick Garrity will be recognized for their important contributions in protecting Tampa Bay at a special luncheon at about 11:30 a.m.
Jan Platt has been a passionate and vocal advocate for restoring and protecting the bay for more than 40 years. She served as a Hillsborough County Commissioner for 24 years, was an early member of the Estuary Program's Policy Board and was a founding member (and still active) member of the Agency on Bay Management. Hillsborough's successful Environmental Lands Acquisition and Protection Program now carries her name as a recognition of her commitment to purchasing endangered lands. Dr. Rick Garrity will be retiring on June 30 after nearly 15 years at the helm of the Environmental Protection Commission. Under his leadership, EPC's successful stewardship of Hillsborough County's air, water and wetlands has led to substantial improvements in air and water quality for the residents of Hillsborough County, and the region. EPC's intensive water quality monitoring program is among the longest, continuously running in the nation. EPC continues to provide vital scientific support to ABM discussion of key issues and activities affecting the health of the bay. Help us celebrate these two deserving Champions of the Bay.